The Nigerian Maritime Administration and Safety Agency (NIMASA) on Monday said its interaction with stakeholders would gear toward pooling ideas for the strategic development of the agency for improved services in the maritime industry. 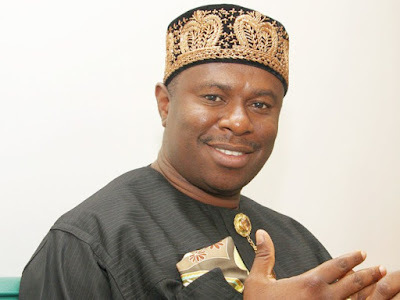 The Director General of NIMASA, Dr. Dakuku Peterside, while stating this at a stakeholders’ meeting convened by the agency in Lagos, said there would be an initial development plan to cover 2016 to 2019. Peterside assured the stakeholder that every input by them would play vital parts in NIMASA’s renewed efforts to charting a new course in its chosen mission to promoting indigenous shipping via its mandate. He, however, noted that the drive to identify gaps, challenges and proffer solutions would also require the agency to carry out in-house reforms to change the work-culture to fit the strategic development plan. The Director General said that to that end, the agency has been launched into an era of productivity that should be beneficial to the businesses of industry operators, and in turn, the nation’s economy. While appealing to the stakeholders for cooperation, he emphasized that the people who the agency serves remained its strength and the evidence that could attract new investments into the industry. The stakeholders who cut across the various sub-sectors raised issues on challenges they were facing in the operations and suggested ways they could be addressed. One of the stakeholders, Mr Emeka Ndu, said they had been faced with so much difficulties in trying to get certification for their ships to engage in operations. Ndu blamed NIMASA for subjecting ships to delays in order to get certification from surveyors when the same ships have certification from other classification societies. He said such delays made the ships incur a lot of costs. Other speakers called for the status of the Cabotage Vessel Financing Fund (CVFF) which has been inactive since it was established. The stakeholders said that the CVFF was supposed to be used for developing indigenous shipping, since sourcing funds for ship acquisition from commercial banks was very costly. They accused the NNPC of giving jobs meant for indigenous shipping companies to foreign ships, adding that NIMASA should rise up to address the problem to protect indigenous ship-owners. A former Director General of NIMASA, Mr Temisan Omatseye noted that the original structure of NIMASA had not been implemented, but that the Nzewu Report could assist the agency in repositioning the industry. He said that the Cabotage Regime only needed enforcement as nothing was wrong with it. He added that many foreign vessels operating currently on the territorial waters and engaged in coastal trade would flee if NIMASA would demand for their licence to operate. Speaking on the issue of capacity for certification by surveyors in NIMASA, Engr. George Agbajo suggested increased training for the surveyors. On the issue of sea time for Nigerian cadets, Engr. Greg Ogbeifun, President of the Ship Owners Association Of Nigeria(SOAN) said NIMASA only needed to work with the ship-owners to put a structure in place to give the cadets sea time training. On their part, the Maritime Workers Union of Nigeria (MWUN) called for restoration of the dockworkers pool, which used to be in existence before it was scraped. The union urged NIMASA to implement the minimum standard for dockworkers’ registration and have in place measures to ensure that only registered dockworkers got admitted to work. Secretary to the African Ship-owners Association (ASA) Ms Funmi Folorunso, appealed to NIMASA for an interactive website; with working email addresses and phone numbers to enable people outside Nigeria reach them. NIMASA expressed willingness for more interactive sessions with key stakeholders to meet its proposed goal.